The Boston Real Estate Market is Booming! To continue on with our recap of the Best Real Estate Markets in the Country — today we cover Boston MA. 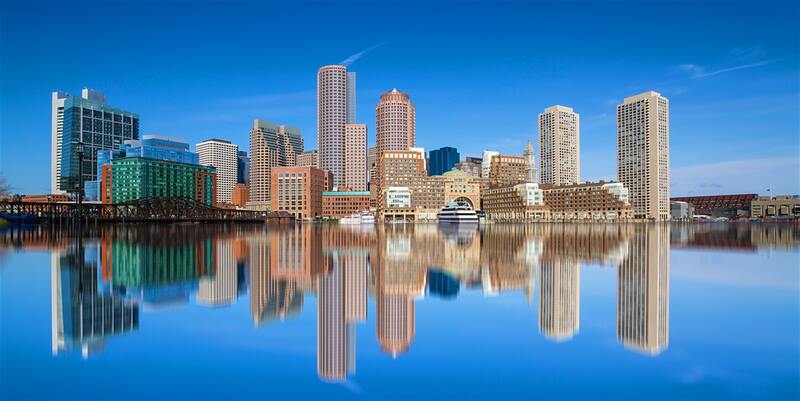 Boston Mass has recently been mentioned in the news because of their high real estate prices. Rising real estate prices are a double edged sword that cuts both ways. Although higher prices make it harder for some to purchase their first home, for the existing homeowner — your real estate investment is really paying off. With the home prices in Boston continuing to rise, we are seeing many home buyers purchase homes in nearby cities such as Quincy, Cohasset and Milton MA. Many of the Boston suburbs have done very well with the rise in Boston real estate prices. One of the best tips for a first time home buyer may be to move to a Boston suburb and commute into the city for work. Isn’t All Real Estate an Investment? The real estate market in Boston appears to be improving into a kind of investor’s paradise. The prices of homes and the rates of appreciation have continued to eclipse the national average, and this has seriously benefited Boston investors. The median home value in Boston is currently at $561,300. Over the past one year, the home values in Boston have gone up 8.5%, and the rise is expected to continue even higher. The average price of a single-family home in Boston hit $410,000, having risen from $300,000 from a similar time last year. This is something that any potential home buyer must factor in when thinking of buying a home in Boston. On the other hand, two-bedroom single-house rentals were averaged at $2,610. In Beacon Hill, one-bedroom rent was at $2,575, while in Back Bay it was at $2,825 and was higher still in both South Boston Waterfront and South Boston, where the prices were averaging $3000 and $2600 respectively. From that analysis, it can be said that the most expensive areas for a one-bedroom apartment during the fall were the Back Bay, downtown Boston and the South Boston waterfront, which is also known as the Seaport District. In the first three quarters of 2017, the home prices in Bay Village soared up more than any other neighborhood in Boston. The median sale price in Bay Village, which happens to be the smallest official neighborhood in Boston, increased to $533,500. But Roxbury and East Boston should still be considered by those who want to stay in Boston. During the past five years, the median sale prices in these two Boston neighborhoods have doubled. The second steepest price growth was witnessed in downtown Boston in the Financial District where the median sale price rose to $321,000 from the previous value of $294,500. The South End was number three in growth, and fourth was the Chinatown/Leather District with a median sale price of $285,000. Beacon Hill wasn’t so far from Chinatown with a median price of $280,000. One surprising fact is that the median sale prices in East Boston and Roxbury doubled from 2012 to 2017. Two of the Boston’s most affordable enclaves are twice as expensive as they were five years ago. The ten most expensive and luxurious one-bedroom apartments in Boston vary in price starting at $1.2 million for a 948 square foot apartment. They are located in Millennium Tower, the recently developed apartment/condo complex in Downtown Crossing in a refurbished Back Bay brownstone. The other places where you’ll find luxury one-bedroom Boston condos: 80 Commonwealth Avenue – $2,100,000; 300 Boylston Street – $1,990,000; 50 Liberty Drive – $1,614,735; 22 Liberty Drive #3H, Seaport – $1,599,000. The longtime residence of Anthony’s Pier 4, an old-time Boston seafood joint, is slowly transitioning into a luxury condominium complex. The developer of the site recently signed a lease with Kristin Canty, a renowned farm-to-table restaurateur. Pier 4, a 9-story, and 106-unit luxury condominium building is expected to open in late 2018 at Boston’s former Anthony’s Pier 4 site. Having been designed by SHoP Architects and the Boston-based CBT, the condo property is currently being developed by Tishman Speyer. The starting price for a two-bedroom unit at the Pier 4 will be over $2 million. Each of the homes developed here has its separate private outdoor space as well as water views, while the penthouse will feature private roof decks. Other facilities in this area include outdoor seating, an outdoor terrace, as well as a dining area with a fire pit. In addition to that, there is a 24-hour concierge service and as well as a virtual golf. Boston home buyers will soon have to consider a $2,000 studio as a very lucrative value. Although it appears like a scary situation, according to some experts, it’s right where it needs to be in the current economy. Boston has witnessed high cost of land and construction, and this has led to most developments being priced at $1500 per square foot. Although not the current real estate market in Boston may not be the greatest thing for the first time home buyer, the Boston real estate market has proven to be a great investment if you can afford to get in or already own some of this prime real estate. Enjoy our articles on the best real estate markets? Check out what we had to say about New Orleans!